Pulwama IED Blast, Jammu and Kashmir: Terror group Jaish-e-Mohammed has claimed responsibility for the IED blast in Pulwama on a CRPF convoy. 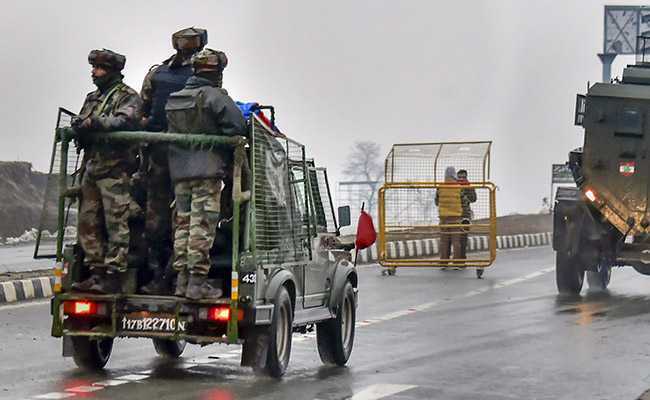 More than 40 Central Reserve Police Force (CRPF) personnel were reportedly killed in a major attack on a CRPF convoy in Awantipora in Jammu and Kashmir's Pulwama district today. Around 40 have been injured in the attack after terrorists targeted a convoy with an explosive. Terror group Jaish-e-Mohammed has claimed responsibility for the attack. Fifteen of those injured are in critical conditions. According to news agency ANI, gunshots were reported from the scene after the blast occurred. The injured have been moved to the army base hospital in Srinagar. The IED blast in Goripora area was followed by gunshots, news agency ANI reported. This is said to be the worst terror strike on security personnel since the Uri attack in September 2016, when four heavily armed terrorists targeted an army brigade headquarters -- resulting in over 17 casualties. Leaders cutting across all political parties have condemned the Pulwama IED blast. PM Narendra Modi tweeted on the Pulwama attack, saying the "attack on CRPF personnel in Pulwama is despicable." Congress President Rahul Gandhi, Omar Abdullah, Arun Jaitley, Mehbooba Mufti, Piyush Goyal, Amit Shah, Rajnath Singh and many others tweeted their condemnation of the IED blast in Pulwama. International reactions to the Pulwama attack have also condemned the incident. The US, Russia, Maldives, Bhutan and Sri Lanka have all condemned the attack on the CRPF convoy. UN Secretary General Antonio Guterres "strongly" condemned the terror attack against security personnel in Jammu and Kashmir's Pulwama district, perpetrated by Pakistan-based terror group Jaish-e-Mohammed, calling for those behind the attack to be brought to justice. Pakistan Denies Link In Pulwama Attack, Says "Matter Of Grave Concern"
Pakistan on Thursday said the terrorist attack in south Kashmir's Pulwama district, in which 40 paramilitary personnel were killed, is "a matter of grave concern" and strongly rejected allegations of the country's link to the strike. The Rashtriya Swayamsevak Sangh (RSS) said Thursday's terror attack in Jammu and Kashmir, in which 43 security personnel were killed, was an act of desperation due to the growing clampdown on terrorism, according to news agency IANS. "The attack is a sign of desperation and frustration due to the clampdown on terrorism," RSS general secretary Suresh Joshi said in a statement. "We strongly condemn today's attack in Jammu and Kashmir's Pulwama district. We express our deepest condolences to the families of those who lost their lives and to the Government and people of India and wishes a speedy recovery to those injured. We call for those behind the attack to be brought to justice," a statement from the UN, condemning the Pulwama terror attack, said. The US on Thursday condemned the terror attack in Jammu and Kashmir's Pulwama district and said it stands alongside India in defeating terrorism. 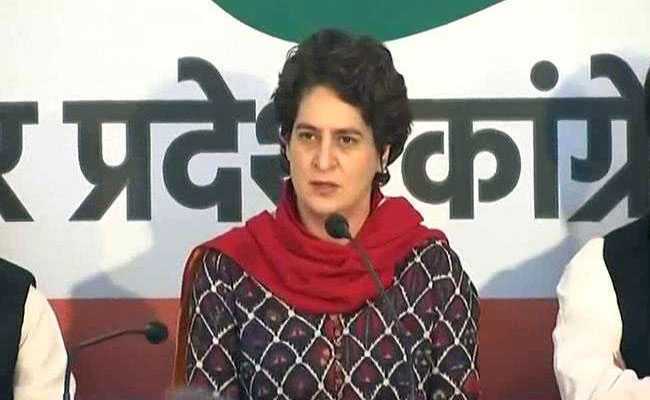 Priyanka Gandhi Vadra, the sister of Congress chief Rahul Gandhi, today condemned the deadly terror attack on CRPF personnel in Jammu and Kashmir's Pulwama and expressed solidarity with the families of the deceased and the injured. The 47-year-old, who was expected to address her first press conference this evening a week after her induction, deferred it. Experts of the anti-terror commando force National Security Guard (NSG) and investigators of the National Investigation Agency (NIA) are being sent to Jammu and Kashmir to join the probe into the terror attack in Pulwama in which at least 39 CRPF personnel were killed, officials said Thursday, according to news agency Press Trust of India. Explosive specialists of the Black Cat commando force NSG will also join in the investigation into the attack, another official said, according to PTI. Mobile internet services have been snapped in all of South Kashmir and speed slowed to 2G in Srinagar district, according to news agency ANI. "Strongly condemn the terrorist attack in Pulwama, J&K. Thoughts and prayers with the families of martyrs and wishing an early recovery to those injured. The entire nation stands united in the fight against the forces of terror and evil," President Ram Nath Kovind said in a tweet. 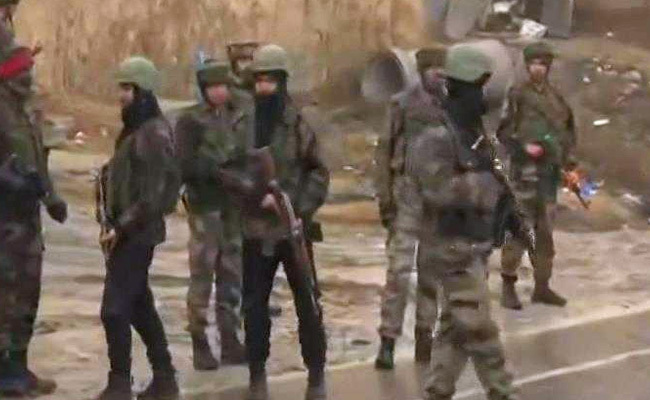 Pulwama Terror Attack: Nearly 40 CRPF personnel were killed and several others were injured. A team of the National Investigation Agency or NIA is being sent to Srinagar tomorrow "to assist J&K Police in Forensic evaluation of scene of crime," tweeted the agency in their official Twitter handle. Prime Minister Narendra Modi has strongly condemned the blast in Jammu and Kashmir's Pulwama district that killed nearly 40 Central Reserve Police Force, saying the sacrifices of the country's soldiers would not go in vain. "Profound condolences to the families of theCRPF jawans martyred in Pulwama. This is a national tragedy on which all India stands as one," tweeted Congress lawmaker Shashi Tharoor. "The casualty rate in Kashmir requires measured but decisive response. But no one should exploit the bloodshed for their party-political benefit," said Shashi Tharoor in the tweet. Profound condolences to the families of theCRPF jawans martyred in Pulwama. This is a national tragedy on which all India stands as one.The casualty rate in Kashmir requires measured but decisive response. But no one should exploit the bloodshed for their party-political benefit. Congress general secretary Priyanka Gandhi Vadra on Thursday condoled the killing of CRPF personnel in Jammu and Kashmir and demanded that the government take concrete steps to ensure such terror attacks do not happen in the future, according to news agency Press Trust of India. The AICC general secretary in-charge Uttar Pradesh East also said there is a need to reflect and be concerned about the "high number" of casualties in Kashmir, according to PTI. She expressed her deepest condolences to the families of the 30 security personnel killed in a terror attack in Pulwama, Jammu and Kashmir. "I can very well understand the pain and grief of losing a loved one in the family," Priyanka Gandhi Vadra said in a statement. Not only the Congress party, but the entire country is standing shoulder to shoulder with the families of the brave soldiers, she said, according to PTI. "But, we must also reflect and be concerned about the high number of casualties in Kashmir. We demand that this government take concrete steps to ensure such terror attacks don''t happen in the future," Priyanka Gandhi Vadra said. "The US Mission in India strongly condemns today's terrorist attack in Jammu & Kashmir. We send our heartfelt condolences to the families of the victims. The United States stands alongside India in confronting terror and defeating it," US' Ambassador to India, Ken Juster tweeted, condemning the attack on the CRPF convoy in Pulwama. "As one who has closely observed the valour and dedication of the CRPF, my heartfelt sympathies to the families of the jawans martyred in Pulwama," tweeted senior Congress leader P Chidambaram. As one who has closely observed the valour and dedication of the CRPF, my heartfelt sympathies to the families of the jawans martyred in Pulwama. Home Minister Rajnath Singh Thursday spoke to Jammu and Kashmir Governor Satya Pal Malik and took stock of the situation in the state after the deadly attack on a CRPF convoy by terrorists, officials said, according to news agency Press Trust of India. He also cancelled all his political engagements in Bihar Friday and is likely to visit Jammu and Kashmir. He called up the governor, who apprised him about the prevailing situation in the state. Singh also spoke to Union Home Secretary Rajiv Gauba and Director General of CRPF RR Bhatnagar and gave them necessary instructions, a home ministry official said, according to PTI. "Who are these people who are celebrating a win after this dastardly and cowardly attack..is just condemning this enough..wipe out not just their smiles but their faces...show us our revenge, instill dismay and dread with the retaliation," said actor Madhavan in a tweet. "Sickening, cowardly attack on our soldiers. All we can do is bow before them and their families in respect and gratitude," tweeted Vishal Dadlani. "We need to hunt down those responsible. And make sure there's fitting retribution. My deepest condolences to the families of the soldiers who lost their lives in this dastardly act," tweeted Gul Panag. We need to hunt down those responsible. And make sure there's fitting retribution. My deepest condolences to the families of the soldiers who lost their lives in this dastardly act. PM @narendramodi spoke to the National Security Advisor and took stock of the situation regarding the attack in Pulwama, Jammu and Kashmir. "After the attack in Pulwama, I think it's an inappropriate time for us to be having political discussions," said Priyanka Gandhi Vadra at a press conference. Priyanka Gandhi Vadra was scheduled to hold a press conference this evening. However, she cancelled the press conference after the Pulwama IED blast on the CRPF convoy. "To all the families of soldiers killed in the attack, we want to tell you we are with you in this difficult hour. We stand with you shoulder to shoulder," she said. A two-minute silence was held to pay respect to the CRPF personnel who died in the Pulwama IED blast. "Cowardly" terror attack in JK won't go unpunished, we will avenge; says Minister of State for Home, Kiren Rijiju, quoted by news agency Press Trust of India. "Shocked and deeply saddened by the terrorist attack on our brave CRPF soldiers in Pulwama district of Jammu And Kashmir.Strongly condemn such cowardly act and urge govt to take corrective measures against terrorists. We stand by our soliders & govt in efforts to combat terrorism," tweeted Tejashwi Yadav. 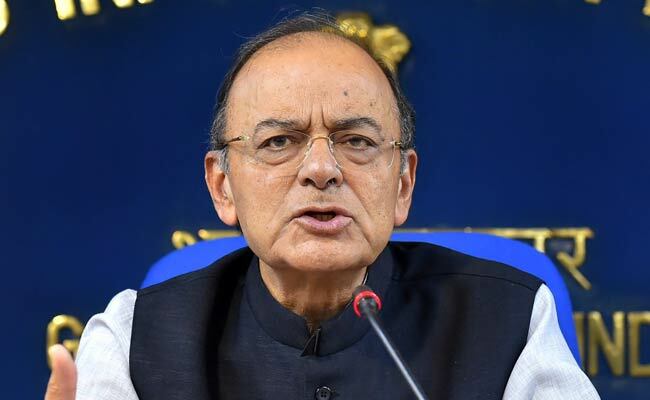 Terrorists responsible for the attack on a CRPF (Central Reserve Police Force) convoy in Jammu and Kashmir's Pulwama today that killed at least 18 personnel and left over 40 injured will be given "unforgettable lesson" for their heinous act, Union Minister Arun Jaitley said in a tweet. "Attack on CRPF personnel in Pulwama is despicable. I strongly condemn this dastardly attack. The sacrifices of our brave security personnel shall not go in vain," PM Modi tweeted. "The entire nation stands shoulder to shoulder with the families of the brave martyrs. 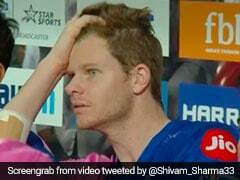 May the injured recover quickly," he said in the tweet. 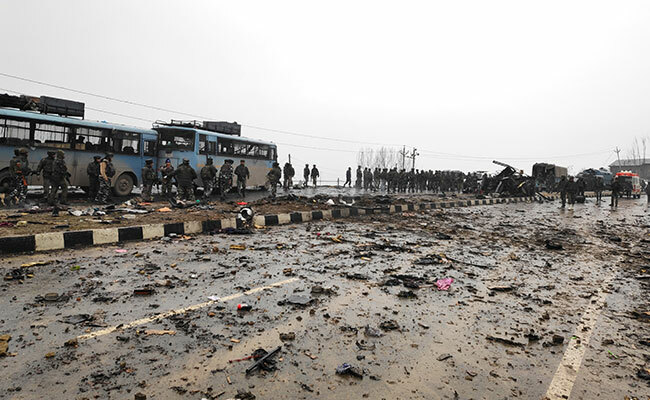 "Deeply pained to know about 18 CRPF soldiers martyred in a cowardice terror attack on #CRPF convoy in #Pulwama. Strongly condemn such cowardly act. Condolences to the bereaved families and prayers for injured. It's high time govt must act against terrorists," tweeted Lalu Yadav. 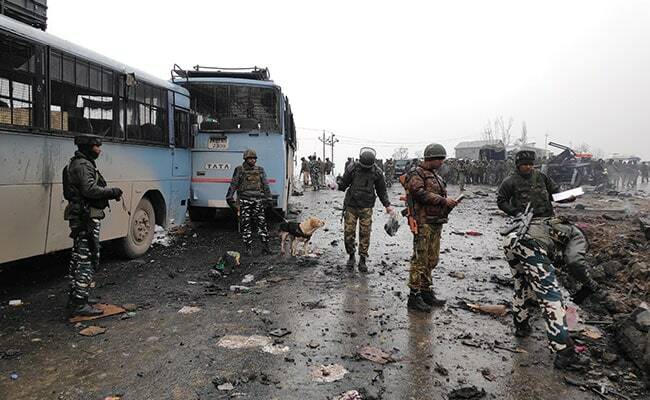 Deeply pained to know about 18 CRPF soldiers martyred in a cowardice terror attack on #CRPF convoy in #Pulwama. Strongly condemn such cowardly act. Condolences to the bereaved families and prayers for injured. It's high time govt must act against terrorists. Former Jammu and Kashmir chief ministers Omar Abdullah and Mehbooba Mufti condemned the killing of at least 18 CRPF personnel in a terrorist attack in Pulwama district on Thursday, according to news agency Press Trust Of India. The CRPF personnel were killed when a Jaish-e-Mohammed terrorist rammed an explosive-laden vehicle into the bus they were traveling in. "Terrible news coming from the valley. A number of CRPF soldiers are reported to have been killed & injured in an IED blast. I condemn this attack in the strongest possible terms. My prayers for the injured & condolences to the families of the bereaved," Abdullah tweeted. The vehicle was blown up on the Srinagar-Jammu highway in the district''s Awantipora area. "Disturbing news coming in from #awantipura. Twelve of our security personnel have been martyred and several have been injured. No words are enough to condemn the gruesome terror attack. How many more lives will be snuffed out before this madness ends?" Mehbooba Mufti tweeted. "Pained beyond words by the terror attack on our soldiers in Pulwama (J&K). It is an act of cowardice," tweeted BJP chief Amit Shah. "My deepest condolences are with the families of our soldiers who have lost their lives. Our forces will remain firm against such acts of terror and defeat them," he said in the tweet. Pained beyond words by the terror attack on our soldiers in Pulwama (J&K). It is an act of cowardice. My deepest condolences are with the families of our soldiers who have lost their lives. Our forces will remain firm against such acts of terror and defeat them. 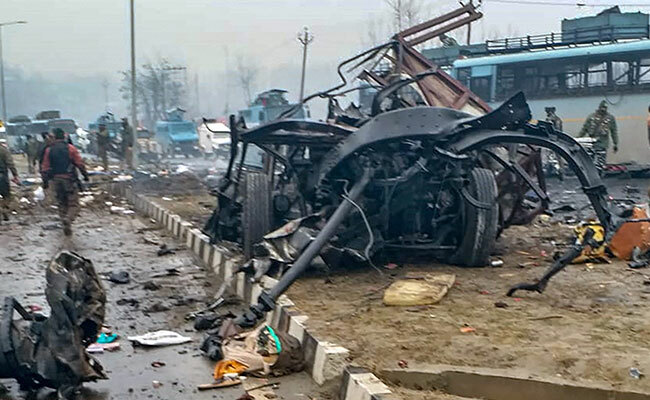 At least 18 personnel of the CRPF (Central Reserve Police Force) were killed and 40 injured as a vehicle laden with explosives rammed the bus they were travelling in, as part of a large convoy, at Pulwama in Jammu and Kashmir. Initial information suggests a Scorpio SUV carrying 350 kg of explosives rammed the bus. Some 2,500 soldiers were in different buses on a sanitized and well-protected highway when the blast took place at Awantipora, around 20 km from Srinagar. Terror group Jaish-e-Mohammad has claimed responsibility for the attack, the worst since the 2016 attack at an army camp in Uri, in which 19 soldiers were killed. Home Minister Rajnath Singh will visit Srinagar tomorrow. "Deeply saddened by news of the IED blast in Pulwama, Jammu & Kashmir in which our brave CRPF Jawans have been martyred. My thoughts are with the bereaved families and prayers with our injured Jawans to recover soon," tweeted Piyush Goyal. Deeply saddened by news of the IED blast in #Pulwama, Jammu & Kashmir in which our brave CRPF Jawans have been martyred. My thoughts are with the bereaved families and prayers with our injured Jawans to recover soon. 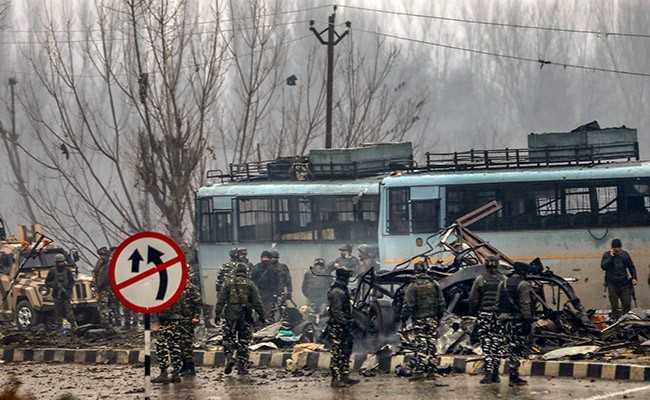 The car that rammed a CRPF bus in Jammu and Kashmir's Pulwama, killing at least 18 jawans on Thursday, was driven by Jaish-e-Mohammad terrorist Adil Ahmad Dar, officers said. West Bengal Chief Minister Mamata Banerjee mourned the death of CRPF jawans at Pulwama in Jammu and Kashmir in a terrorist attack on Thursday, according to news agency Press Trust of India. "Saddened that 13 CRPF jawans became martyrs today in Pulwama. We salute our brave jawans and extend our solidarity and condolences to their families. Our prayers for those injured. We wish them a speedy recovery", she said in a tweet. Ms Banerjee, who is also the Trinamool Congress chief, is away in New Delhi, where she went to attend the opposition parties meeting convened by Chief Minister Arvind Kejriwal on Wednesday, the last day that the present Lok Sabha met, and to discuss with them the strategy to oust the Modi government in the coming Lok Sabha polls, according to PTI. 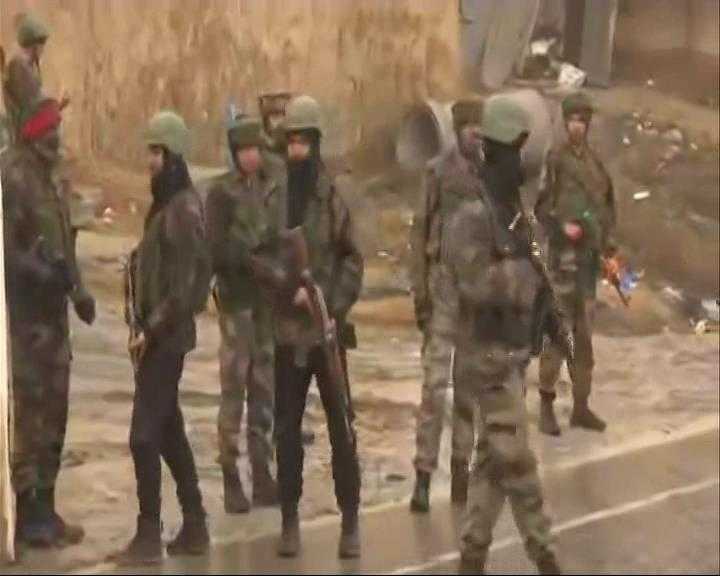 National Security Advisor Ajit Doval is monitoring the situation in Kashmir post Pulwama Attack, Senior CRPF officials are briefing him on the situation, according to news agency ANI. Home Minister Rajnath Singh is going to visit Jammu and Kashmir's Srinagar tomorrow, over the Pulwama IED blast, according to news agency ANI. According to a tweet from the Home Ministry's official Twitter handle, Rajnath Singh has cancelled his visit to Bihar tomorrow. HM also spoke to the Governor of Jammu and Kashmir, DG CRPF and the Home Secretary regarding the Pulwama attack. They have apprised him of the situation. HM has cancelled his scheduled visit to Bihar tomorrow. MHA is closely monitoring the situation. "Deeply saddened by the martyrdom of so many CRPF jawans in terrorist attack in Pulwama district of Jammu And Kashmir. Strongly condemn the cowardly act and condolences to the bereaved families," Odisha Chief Minister Naveen Patnaik said, condemning the IED blast in Pulwama. Deeply saddened by the martyrdom of so many @crpfindia#jawans in terrorist attack in #Pulwama district of #JammuAndKashmir. Strongly condemn the cowardly act and condolences to the bereaved families. 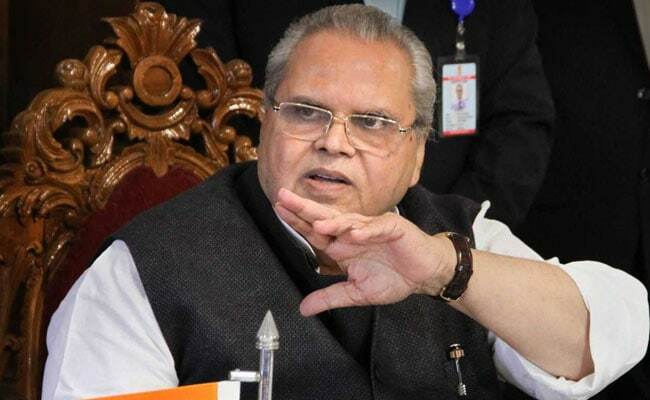 IED Blast in Pulwama: Governor says forces responsible are "desperate and frustrated" and "just want to prove presence"
J&K Raj Bhawan PRO on Pulwama attack:Governor Satyapal Malik observed forces responsible for the insurgency in J&K are desperate& frustrated and just want to prove presence. 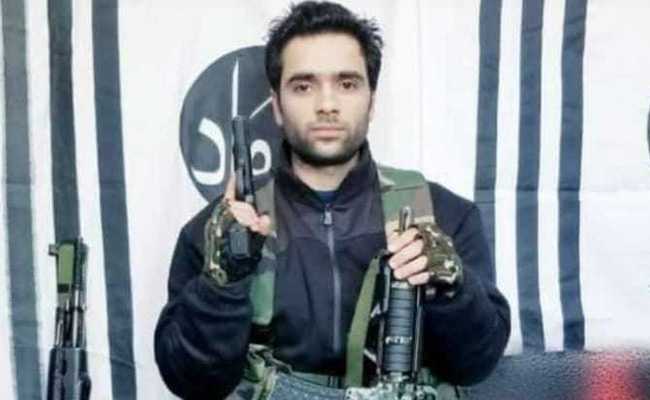 Visibly it seems to be guided from across border as Jaish-e-Mohammad has claimed responsibility, according to news agency ANI. Governor has urged all the Security Forces Commanders to enhance surveillance on every front and directed the District and Divisional Civil and Police Administration to immediately review the security management of all important installations and establishments, according to news agency ANI. A Mahindra Scorpio car laden with 350 kg explosives was used to attack the convoy in the IED attack in Pulwama, Jammu and Kashmir, according to additional reports. 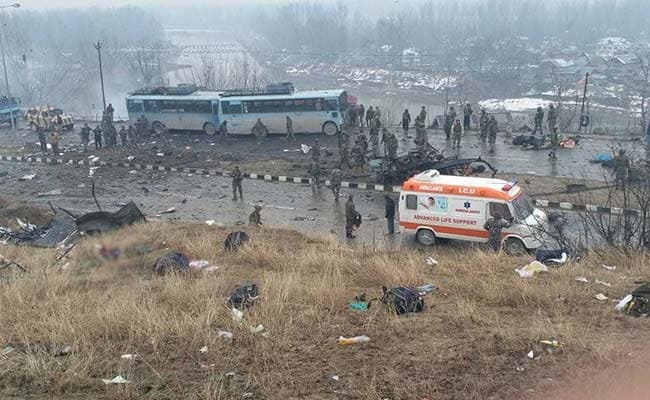 The bus which was hit in the Pulwama attack had 43 people, according to reports. "Saddened that 13 CRPF jawans became martyrs today in Pulwama. We salute our brave jawans and extend our solidarity and condolences to their families," said Mamata Banerjee in a tweet, condemning the Pulwama attack. "Our prayers for those injured. We wish them a speedy recovery," she said in the tweet. Officials said the reason why so many CRPF personnel were on the move at one time was because the Srinagar-Jammu highway had been shut the past two days due to bad weather. The convoy left Jammu around 3.30 a.m, according to news agency IANS. 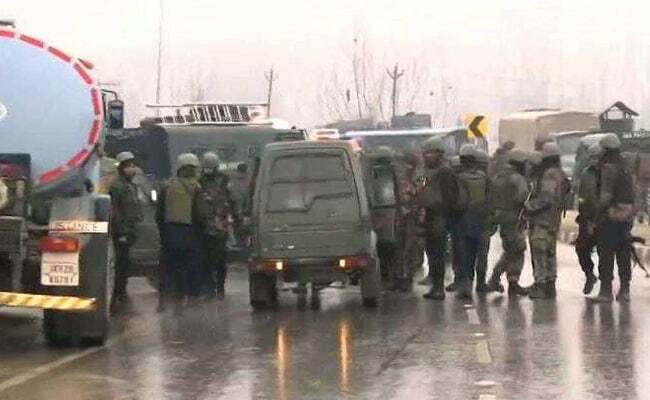 CRPF DG RR Bhatnagar said there were 2,500 personnel in the convoy when the IED blast in Pulwama was carried out, according to news agency ANI. "Extremely shocking... I strongly condemn the terror attack on CRPF convoy in which many casualties are feared. India must stand united in this moment of grief," tweeted Arvind Kejriwal. "India must stand united in this moment of grief," he said in the tweet. "As a soldier and a citizen of India, my blood boils at the spineless and cowardly attacks. 18 brave hearts from the CRPF laid down their lives in Pulwama. I salute their selfless sacrifice & promise that every drop of our soldier's blood will be avenged," tweeted VK Singh. According to the tweet from VK Singh, 18 CRPF personnel have died in the attack. IED Blast in Pulwama: Office of Vice President Venkaiah Naidu tweets saying Pulwama IED blast is "dastardly attack"
"Shocked by the dastardly terrorist attack in which CRPF personnel were martyred. My heartfelt condolences to bereaved families and prayers for speedy recovery of the injured," the tweet from the Vice President's office said. "I'm deeply disturbed by the cowardly attack on a #CRPF convoy in J&K in which 10 of our brave men have been martyred and many others wounded," said Rahul Gandhi in a tweet, condemning the IED blast in Pulwama, Jammu and Kashmir. "My condolences to the families of our martyrs. I pray for the speedy recovery of the injured," he added in the tweet. I'm deeply disturbed by the cowardly attack on a #CRPF convoy in J&K in which 10 of our brave men have been martyred and many others wounded. My condolences to the families of our martyrs. I pray for the speedy recovery of the injured. "Condemn the cowardly terror attack on our jawans in Pulwama, J&K today. Our homage to the 18 brave hearts who made the supreme sacrifice & condolences to their family. Uri, Pathankot, Pulwama- the terror list & compromise of National Security by Modi Govt continues unabated," Congress spokesperson Randeep Singh Surjewala tweeted. Condemn the cowardly terror attack on our jawans in Pulwama, J&K today. Our homage to the 18 brave hearts who made the supreme sacrifice & condolences to their family. Uri, Pathankot, Pulwama- the terror list & compromise of National Security by Modi Govt continues unabated. Minister of state for Defence, Subhash Bhamre has condemned the IED blast in Pulwama, Jammu and Kashmir. "Those responsible will not be spared," he said. 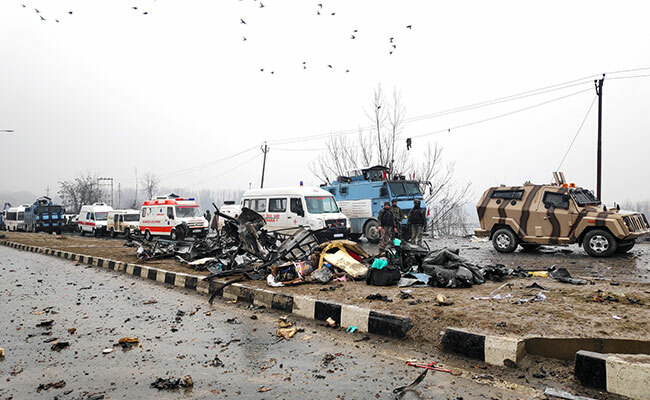 Jammu and Kashmir politicians Mehbooba Mufti and Omar Abdullah expressed their shock at the terror attack on a Central Reserve Police Force (CRPF) convoy in Jammu and Kashmir's Pulwama today in which at least 12 soldiers were killed.Fifteen of the injured are said to be in a critical condition. "Deeply saddened over terrible report of IED blast in #Pulwama,J&K in which our brave CRPF Jawans have been martyred. I salute to their supreme sacrifice.May God give their families strength to bear this loss. My prayers with CRPF personnel,who were injured. Hope they recover soon," tweeted Ashok Gehlot on the IED Blast in Pulwama. According to reports, around 40 have been injured in the IED blast in Pulwama in Jammu and Kashmir. The injured are currently being treated in hospital. Around 10 CRPF personnel have now died, according to reports. At least 12 CRPF personnel have died in the Pulwama terror attack, according to the latest reports. It is believed that an improvised explosive device was the cause of the explosion at Goripora area. Terrorist group Jaish-e-Mohammed has claimed the responsibility for the attack. The terror attack has been reported about 20 km away from Srinagar. Former Jammu and Kashmir Chief Minister Omar Abdullah reacted to the attack on Twitter. 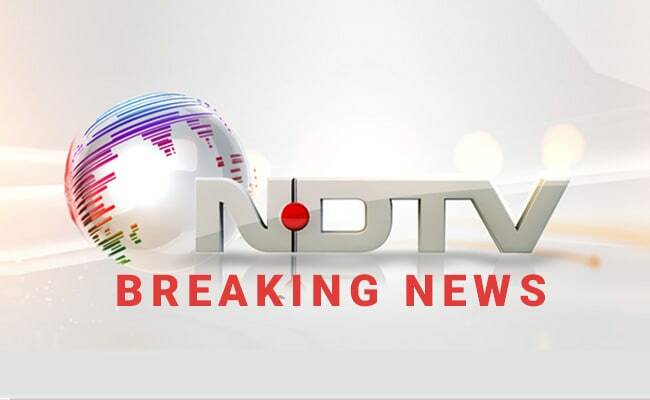 Terrorists attacked the bus that the CRPF personnel were travelling in, news agency PTI reported quoting officials. According to reports coming in, 40 CRPF personnel were injured in the attack on the CRPF convoy and more than 15 were critically injured. The number of casualties is likely to go up.